The role of speech and language therapists in the mental capacity assessment process is continually developing, including supporting patients in advance care planning and supporting legally-appointed proxy decision makers. Yet outside the SLT profession, MDT colleagues and proxy decision makers are unsure how to support people with communication needs and require training and support to be better able to deliver this in a clinical setting. 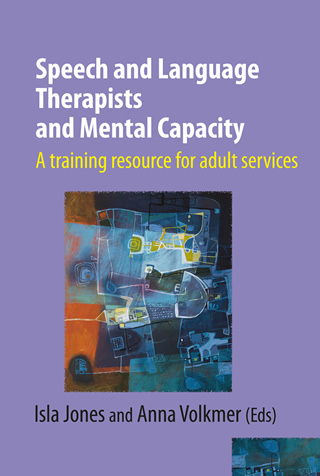 This resource will increase SLTs' competence and confidence in conducting training and education in and outside of their teams. But how can this be achieved within the time constraints imposed by SLTs' pressing service objectives? Supported by current evidence, this book provides bite-size resources that can be used repeatedly to reduce these time pressures and enable clinicians to deliver evidence-based training. Free download: material from the book presented as an A4 pdf for increased legibility and ease of use.